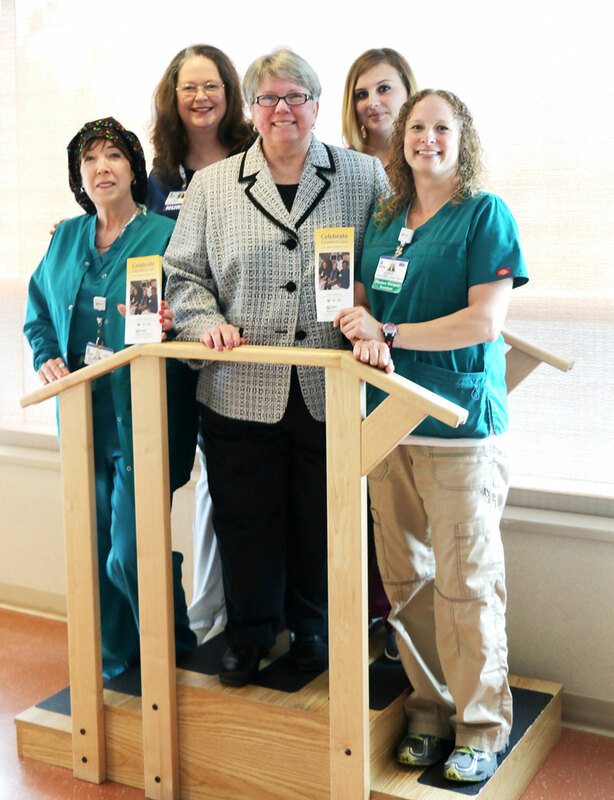 Kathy Davison, an account executive for Comcast Spotlight, has carried Beebe Healthcare’s message of “compassionate care” to the community for the past decade through television advertisements. Yet, until recently, she had not thought about needing medical care herself. She had known for ages that she had a problem with her left knee, but was doing a great job of ignoring it. Years ago, she had had her right knee replaced at a medical center out of the area, and remembered the pain so well that she didn’t want to go through surgery again. Then, a fall in her driveway severely damaged her left knee and sent her straight to Beebe’s emergency department. Kathy’s experience lived up to her expectations. She was referred to Board certified orthopaedic surgeon Paul Harriott, MD. During her pre-appointment call, the scheduler explained to Kathy her record showed she worked full time. The scheduler asked if scheduling calls could be made to Kathy’s cell phone, instead of her home phone, so Kathy didn’t miss the call while at work. Kathy was astounded at everyone’s consideration to make her experience the easiest and best possible. She was able to schedule appointments and contact Beebe support staff for assistance without any trouble. Kathy’s prior experiences with pre-surgery planning and anesthesia during surgery at another medical center had left her with a sense of anxiety. But in a pre-surgery meeting, the kindness and consideration she received from Beebe’s anesthesia team put her at ease. “Anesthesiologist Dr. Stephani Allison and certified registered nurse anesthetist Maureen Syntax were aware of my anxieties and showed tenderness, compassion, and thoughtfulness, which helped me to relax and to not be afraid,” Kathy recalled. Kathy also took note of the fact that the hospital staff showed empathy and sensitivity to her wife, as well. Kathy feared that physical therapy was going to be difficult for her, not only because she remembered previous experience, but also because she suffers with sciatica and the pain that can cause. Physical Therapist Jessica Glass helped Kathy overcome her fears and was able to motivate her to relax and keep moving. Kathy summed up her experience. As a community-owned, not-for-profit healthcare system, Beebe continues to depend on the generous support of individuals, corporations, businesses, and private foundations. All gifts, large or small, to Beebe Healthcare, are tax deductible and are channeled through Beebe Medical Foundation. Please consider making a gift today and share your amazing stories with our community. To learn more about how you can Celebrate Excellent Care, contact the Beebe Medical Foundation at (302) 644-2900 or write to foundation@beebehealthcareevents.org.